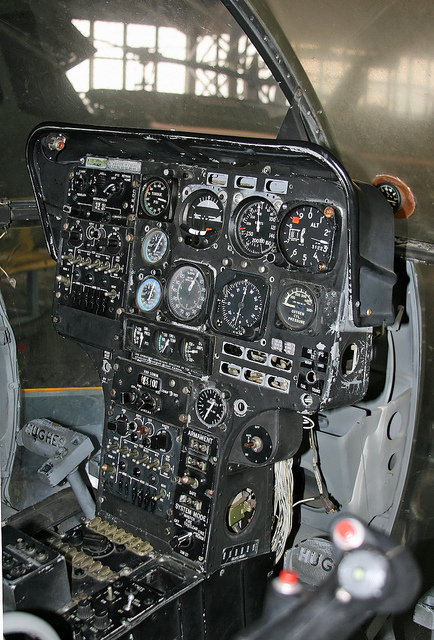 These are Cessna 182 style engine and prop controls. Good for flying any single engine piston powered plane though. This thing is easy enough to make: Just print everything, add three slider pots, wire them to an Arduino Pro mini analog inputs, connect the board’s VCC, GND, SCL and SDA pins to an RJ45 socket, flash the board, and fly. 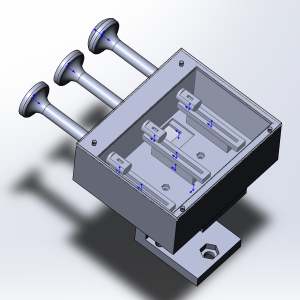 As this is unlikely to be used for RC flying, and due to knobs placement in a real 182, this is intended to be mounted on the desk. It is pretty much a box for slider potentiometers. Solder wires to the pots, straighten metal pieces that hold the PCB in the middle (they will prevent potentiometer from moving sideways), add a drop of super glue (remember that you may want to replace a pot, do not use too much glue! ), put knobs onto pot sliders and place them onto their pedestals. 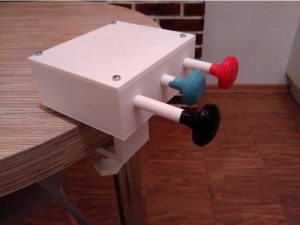 Connect pots and the RJ-45 socket to an Arduino and put the cover on. That’s it!